A Small Contemporary Royal Blue Menorah, with a Light Blue Enamel Base. The Brushed Aluminum Candle Cups, give this menorah a Beautiful accent. Makes a Perfect Gift!! 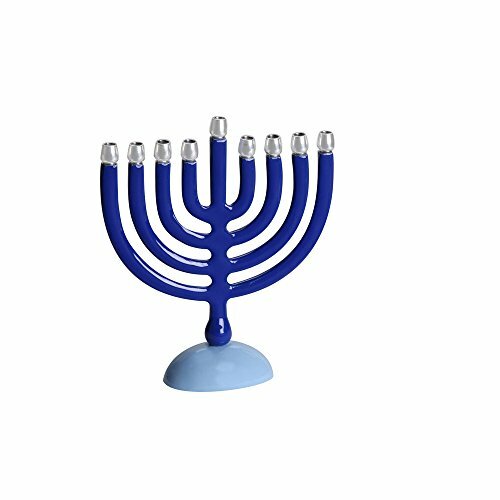 A Small Contemporary Royal Blue Menorah, with a Light Blue Enamel Base.